Excuse me, is there any chance that this can auto update based on RSS feeds? Pretty bad problem just 2 days away from kick off Admins can see the application but our members are getting the message Pick 'Ems are currently disabled when all of our settings are for every member group to have browse permissions. Really strange. The soccer season starts in August, if the update is not released by then, would I be able to start pools and have leaderboards and everything carried over through any update when it was released? You know how you have 2 different types of fixtures: 1. Leagues 2. Custom fixtures When I go to setup which fixtures display on the 'Today's fixtures' sidebar, I can only choose fixtures from leagues which I have set up, and there is no way for me to include any custom fixtures in the Today's fixtures sidebar. It would be better to add the option to display all the custom fixtures as well. That would be an absolutely incredible addition. For us, as a soccer forum, we cover about 6 different leagues in your application. 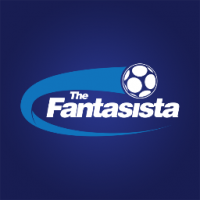 And going in and manually entering all fixtures each week from 6 different leagues. (There are around 10 fixtures a week in a league) so make that 60 fixtures a week we need to manually set up. If you could add in a feature to automatically set up fixtures from a feed such as BBC Football or something, it would make life a lot easier. This is how the sidebar league displays for us Would it be possible to customize that heading as it's in a dark grey font which doesn't match our other headings which are white. I think it would be a great idea to put a flag for the country the league is in for example the Scottish Premiership could be displayed like this.. Is there a template we edit or add in CSS? Not sure what to do to achieve this..
Another thing I've noticed. When you enter in the table, you can't go straight to the Pts field and enter in a value. You must enter home and away wins and losses and so on... In the Scottish league, on team starts the league on -15 points as a punishment for financial difficulties .. but there is no way for us to enter this into the system. Just a thought. Nevermind, is it possible for us to get some guidance on how we would display your hook with the same style as our Recent Topics sidebar? Is it possible to configure this to display the most recent post from a certain topic instead of repeating posts from the same topic in the sideblock?